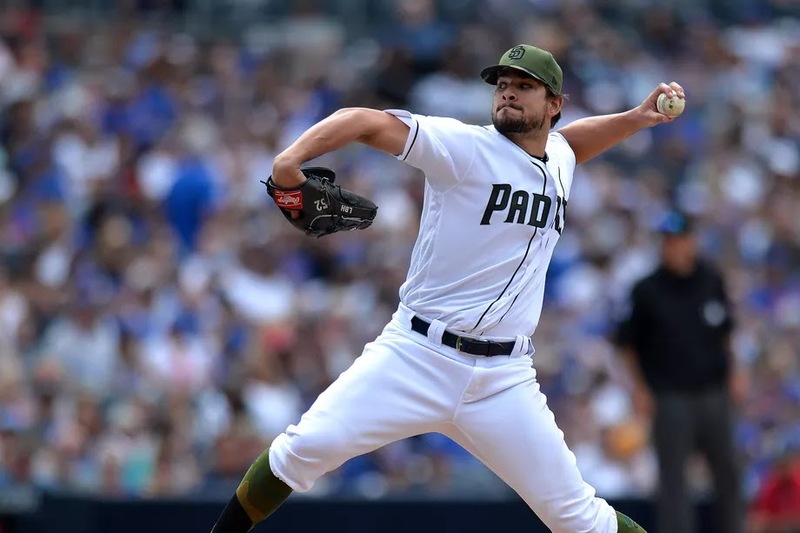 As talks between the A’s and Yankees involving Sonny Gray have seemed to cool off, it’s been reported by Jon Heyman of FanRagSports that the Yanks may be in on Padres reliever Brad Hand. Hand is a lefty that has enjoyed a breakout season. It’s unknown the extent of the talks between the Yanks and Padres, if any, but the Padres have reportedly a very high asking price on Hand. Likely expecting a few top prospects in return, the Yanks would be probably smart to stay out of talks. The former starting pitcher has pitched 54 innings this season with current career highs in FIP (2.52) and ERA (2.00). In those 54 innings, he has 70 strikeouts, leading to a trip to the 2017 All Star Game. He’s even increased his trade value of late, not allowing a run since June 10 in a four-run performance against the Royals. If there is any weakness of the Yankee bullpen, it would be they don’t really have a lefty beyond the closer Aroldis Chapman. Chasen Shreve isn’t on the level of his bullpen counterparts, but in the end is certainly solid enough to not need an upgrade. The Yanks would likely have to part with a top three prospect and even though a move that would make the bullpen even more dangerous, it’s unlikely the talks heat up at this moment. Stay tuned to BBB as the trade deadline winds down.